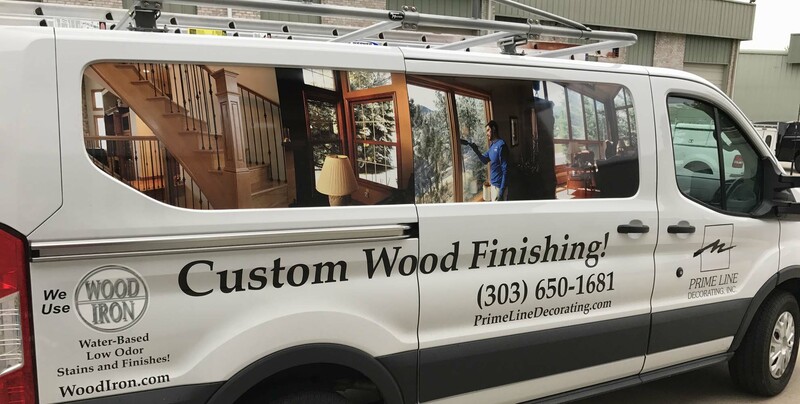 Prime Line Decorating, Inc. is a family owned, full service painting and staining company that has been bringing quality workmanship and outstanding customer service to the Colorado Front Range since 1983. We have been in the painting and staining business for over 30 years. We focus on residential re-painting with a specialty in wood finishing, particularly replacement windows, doors and trim. We serve all of the Colorado Front Range. Our tight-knit team have been working together for over a decade and bring an uncommon level of coordination and shared passion to the job. We are proud they have set and maintain a high standard of quality work, customer service, and accountability. We are a full service company which includes interior and exterior painting, interior woodwork finishing, exterior woodwork finishing and restoration, replacement window and door staining and finishing with on-site stain matching, faux finishes, stain matching, and fiberglass door finishing. Prime Line Decorating’s shop is located in Northglenn, Colorado which is part of the Denver Metro Area. You can get directions to our shop here. For any questions, inquiries, or problems you can call us at 303-650-1681 or email us. To see more of our work, head over to our portfolio. We get a lot of good feedback from the work we do. Once we work with someone we are usually invited back. We service the area all the way north to Fort Collins and all the way south to Pueblo. All along the front range and into the mountain areas. Ready to get started on your painting or staining project? Our friendly staff will be happy to work with you to go over your project. Wood Iron Wood Finishes’s products give woodwork a beautiful, durable, UV-protected finish.